ELLE France continues to amaze members of our forums. The French edition publishes weekly and still manages to deliver excellent consecutive issues, tapping some of fashion’s finest models for its covers. The current issue, dated October 10, 2014, features Georgia May Jagger, photographed by Marcin Tyszka. The British model dons a rather large white hat from Vivienne Westwood teamed with a simple white tee from DSquared2. Georgia can also be found inside the issue for a studio shoot where we see her sport a variety of makeup looks and hairstyles. She also wears some desirable pieces by Gucci, Victoria Beckham and Thierry Mugler. 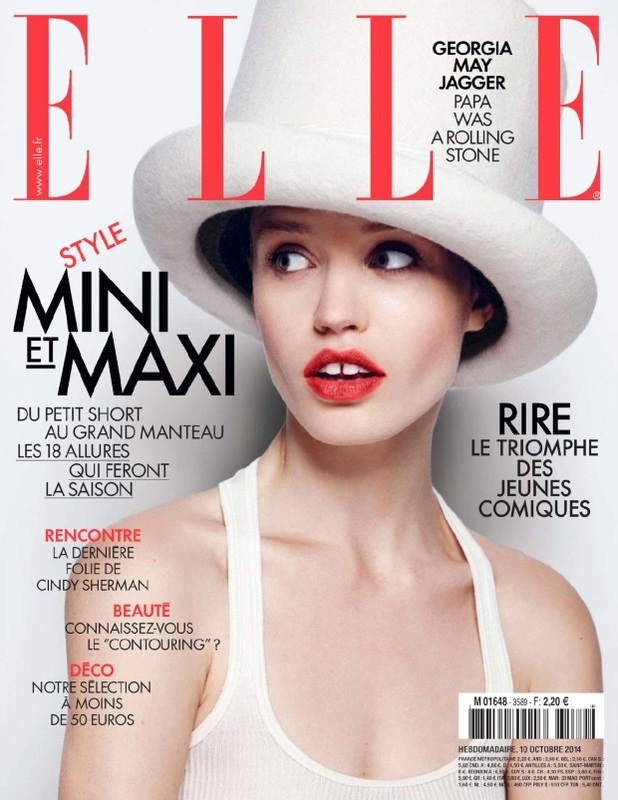 “I just love the direction of ELLE France. Everything feels so fresh. They’re far ahead of Vogue in terms of creativity and even when they also tend to go retro, it feels cool and chic. Maybe it’s the variety of photographers they appoint… very bold,” posted Royal-Galliano, showcasing a positive attitude toward the magazine. “Wow, I love it! ELLE France really has some amazing covers from time to time — especially considering how often it’s published,” complimented frk-frost. The previous cover of ELLE featured Suzanne Diaz by Laura Sciacovelli, plus Myf Shepherd and Kate Wagoner also posed for the cover story, which was inspired by the 70s and led to great results. You can check out all past issues of French ELLE inside the thread and don’t forget to post your own opinion here.